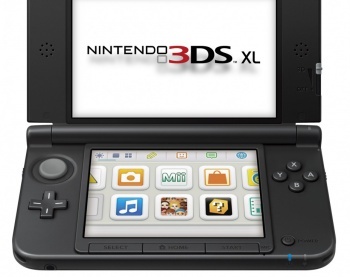 With sold-out Wii U preorders, Nintendo focuses on its handhelds. Running a good business is just as much about rolling with punches as it is about having big ideas. Take Nintendo's holiday plans, for instance. With a brand new console launching in November, one might reasonably expect the developer to push the Wii U this December, but unexpected shortages have tilted the supply/demand ratio too far in the latter direction. Since Wii U preorders are already maxed out and new stock will be scarce, Nintendo has opted instead to focus its attention on its 3DS and 3DS XL handhelds during the 2012 holidays. "Nintendo's number one priority this holiday is 3DS and 3DS XL," says Scott Moffitt, the executive VP of sales and marketing at Nintendo. "We're seeing an ever-growing momentum in our handheld business. Nineteen months in, we're still a million units ahead of the pace of DS at this point in its life." Moffitt points out that with titles like Paper Mario: Sticker Star, Scribblenauts, and Skylanders: Giants due out for the 3DS, the handheld provides an attractive choice for holiday shoppers. Given the nature of the titles, Nintendo hoping that parents pick up the 3DS for their children seems reasonable. While Nintendo might have liked to focus its holiday efforts on selling Wii Us, strong interest in presales makes it impossible to even land a preorder in many areas. "Frustration can build up," Moffitt notes, especially since Nintendo had bought space with advertisers well before it knew that it would be marketing to people unable to buy its product. "[We] committed to these media buys long before we knew that we were going to have a sold-out situation to pre-sales. We hoped we would be sold out, that pre-sales would be brisk. But we didn't have the luxury of waiting to see that to know what our major plans would be." After a price cut and a focus on maintaining a stronger release schedule, 3DS sales, which were anemic at first, have picked up considerably. Nintendo can probably count on a boost to its handheld sales during the holiday season, but it's not clear how many consumers will buy one as an alternative to a Wii U. Parents needing a present for a child might relent, but other potential buyers may be inclined to hold fast until stocks replenish.